Everyone is welcome to be in the Fremont Solstice Parade on June 18. You can be in the parade by joining an ensemble or starting your own. 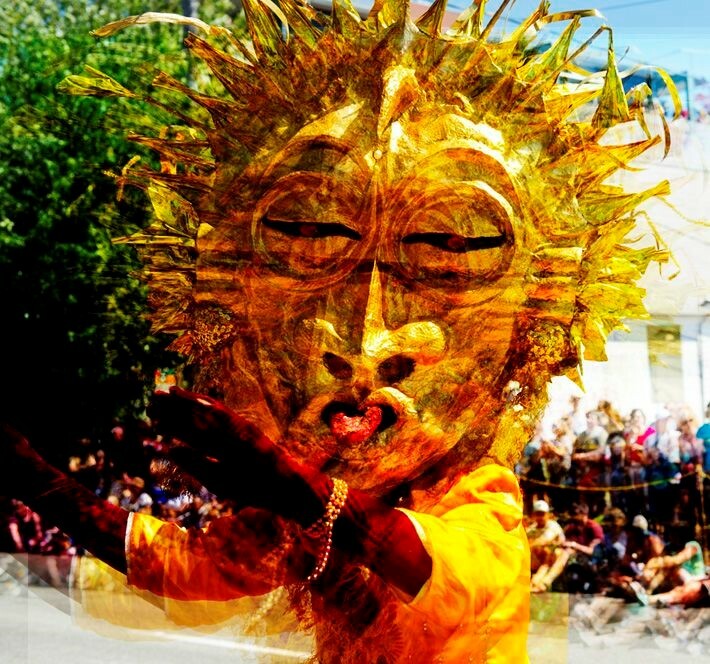 It’s time to get started on your ensemble and your costume, join in the fun and help make the 2016 Fremont Solstice Parade and Celebration awesome. DON’T HAVE AN ENSEMBLE? Don’t worry, there are plenty of people looking to add bodies to their parade happening! Stop by the powerhouse for sign-up lists, to ask questions or to just get involved. FIND OUT all you need to know about being in the parade here. SIGN UP on our parade registration page. DON’T FEEL LIKE DRESSING UP? The Fremont Solstice Parade is run strictly on volunteer power. Be a parade monitor, work registration, or work in the powerhouse to help build floats. Volunteers have the best seat in the house!! Sign up to Volunteer here. Questions: contact volunteer@fremontartscouncil.org Find us on-line at www.fremontartscouncil.org, and remind yourself why this organization is one of the best ways to donate to yourself and your loved ones. Be in the Parade and help to keep the Fremont Solstice Parade the best in the Universe! The FAC needs you more than ever – and your new membership, renewal, parade sponsorship, or any size donation helps us ensure that YOU have access to the best community art and events in all of Seattle!